President Obama has commuted the sentences of 673 prisoners so far, but only around 51 of them have been women. With just months to go before Obama’s term ends, time is running out to even that proportion, according to Amy Povah, a former federal inmate whose 24-year sentence was commuted by President Bill Clinton in 2000. Povah, who recently spoke about her clemency in the documentary “Incarcerating US,” said it’s unfathomable that so few women have been granted clemency by President Obama. Povah was convicted of drug conspiracy and sentenced in 1992 to 24 years without parole. Her case received national media attention after Glamour magazine published a 1999 profile of her, describing how her harsh sentence for playing a small role in a drug conspiracy contrasted with that of her husband, Sandy Pofahl, who served no time in federal prison despite being the kingpin of a MDMA-manufacturing syndicate. Povah is now the founder and president of CAN-DO Clemency, a nonprofit that advocates for clemency for non-violent drug offenders. She said her experience of recieving a harsh sentence for minor involvement with a drug conspiracy is a common one among women in the federal system: they’re often the girlfriends or wives of more culpable drug dealers, and are unable to negotiate plea deals with prosecutors due to their lack of bargaining information. Povah said women have been “hardest hit” by the federal government’s war on drugs, and are now slipping under the radar of presidential clemency — the only hope many have left of securing a release. Povah has helped women file clemency applications and seen scores of them rejected with no explanation from the Office of the Pardon Attorney, despite receiving widespread support from the public and lawmakers alike. 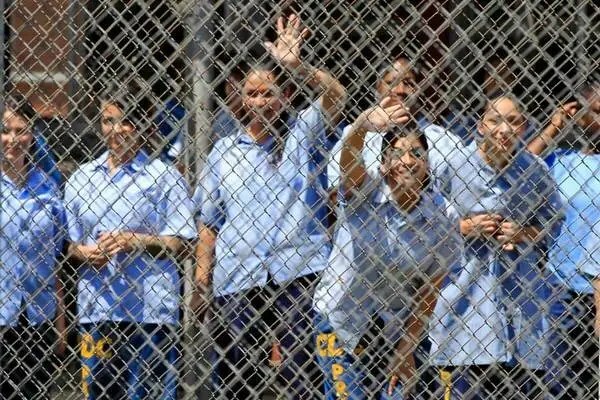 While women make up just 6.7% of all federal inmates, they have become the fastest growing correctional population in the country, according to statistics from the Department of Justice. A common misconception of the federal prison system is that it houses hardened, violent criminals, Povah said. That’s not the case — just 7% of all federal inmates are convicted of violent crimes. Povah said most federal female inmates aren’t doing time for murder, and don’t have extensive criminal backgrounds. Many of them are serving decades-long sentences, even life without parole, despite being first-time offenders.